Tektites are the result of a major cataclysmic event – one that is far more sudden and violent than any occurrence in the Earth’s natural geological process, and transforms material into a completely new substance. Even violent geological incidents such as earthquakes and volcanic eruptions are preceded by a long process prior to the episode (although this process usually occurs beneath the Earth’s surface, rendering it invisible – at least to us). There is speculation that at least some of the Earth’s five mass extinctions were triggered by just such an impact event, and eventually led to the evolution of entirely new species. A tektite’s energy mirrors its origins. 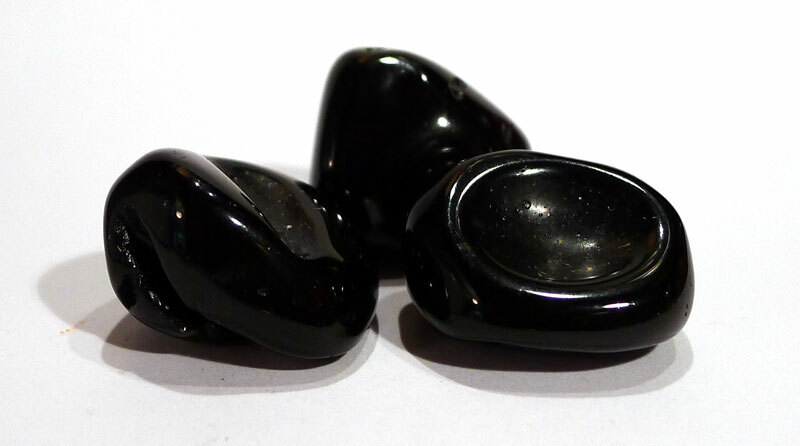 They are powerful, fast-acting transformational stones that can bring amazing flashes of insight and inspiration, and can cause a sudden shift of consciousness. As they are not formed as part of a natural geological process, the changes they initiate happen abruptly, sometimes violently, and usually at a higher level of consciousness, with little or no connection to the physical world, making it very difficult to root the insight and inspiration into a physical or earthly context. This seems to divide potential users, as it suits some very well, while leaving others (who prefer their changes to be a little slower and gentler) feeling sick or faint. For this reason, I recommend determining which of these categories you fall into before using tektites at all, and if you choose to work with them, use them with a grounding crystal, or one that resonates with the lower chakras, after or during use. Otherwise, the you may be left in a wide-open, ungrounded and vulnerable state. 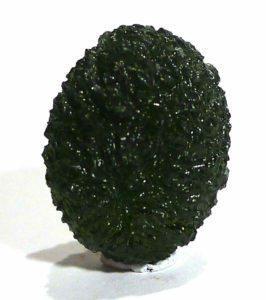 Some of the black tektites, such as irghizite and indochinite, are easier to work with, and worth considering if you are too strongly effected by moldavite. Tektites have different additional energies, depending on their composition and locality. Tektite is a glassy material formed as a result of massive meteorite impact with the Earth. There are several theories regarding the type of meteorite and impact, ranging from a meteorite that burns up in the Earth’s atmosphere leaving only a gaseous fireball, to a meteorite that explodes in the atmosphere prior to impact, or explodes upon impact. In any case, the meteorite almost entirely vapourises, so there is none of the original material left. 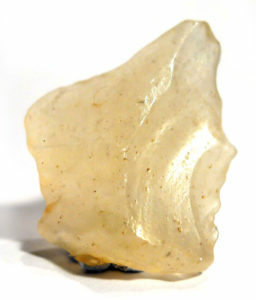 The impact must have been on sand or silica-rich rock, which melted to create the glassy substance. There is no evidence of cosmic ray exposure, and its composition is similar to many terrestrial rocks, demonstrating that the material itself does not have an extraterrestrial origin. 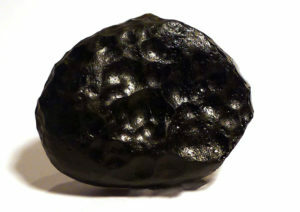 This is contrary to many descriptions which claim that tektite is an amalgam of earth and extraterrestrial material. Apart from silica, the composition of tektites varies according to the nature of the rock or sand at the impact site. Tektites display a wide variety of sizes, shapes, and surface features, such as splash forms that include spheres, teardrops, dumbbells, and discs, ‘buttons’, and Muong Nong types that have a layered structure and are found primarily in Southeast Asia. The meteoritic source has been determined for three major fields of scattered tektites (bediasite and georgiaite in North America, moldavite in Central Europe, and ivorite in West Africa). For Australian and Asian tektites (indochinite, australite, zhamanshinite, irghizite, and others), the occurrence in meteoritic craters has only been inferred. Tektites are assigned to strewnfields, which are the areas over which chemically and physically related tektites are found. Some have been found over 100,000 km from their impact sites. The name tektite was first used in 1900 by Franz Eduard Suess (1876 – 1941, emeritus professor of geology at the University of Vienna), from the Greek τήκτος tektos meaning ‘molten’. The first reference in scientific literature appeared in 1788, when Mayer described them as a type of terrestrial volcanic glass. 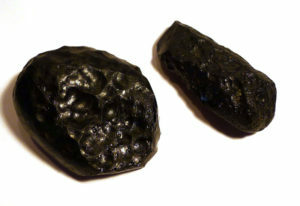 Tektites were knapped into tools by Neolithic peoples on virtually every continent where they are found, and also have a similarly long history of use as amulets. Tools date back to 4-6,000 BC. Apart from this, I have found no historical record of their use in healing.